I love the beginning of Spring. Temperatures are a little warmer, but not too hot. Birds are singing (I hear some now as I am typing this). Flowers are blooming. Beautiful! And the parks are filled with the voices of children. 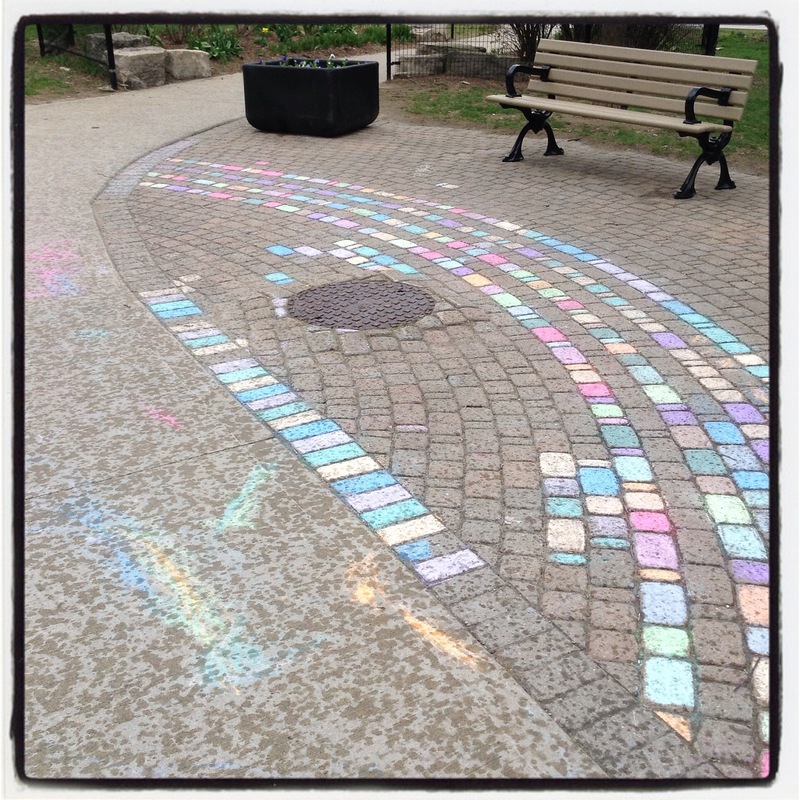 Sidewalk chalk is brought out into the open and little artists create on hardened spaces. After a sunny weekend, I noticed that some children had been hard at work in the park. I managed to capture their creativity before it was washed away by Tuesday’s rain. Seeing the art Monday morning on my way to work made me smile. I look forward to seeing more next Monday after the weekend. That sidewalk art is so pretty, and such a nice surprise coming up on it. Glad you took a photo! Made me smile? An unexpected invitation to a surprise 80th birthday party for a friend of many years but who I seldom see. What a treat – to celebrate such a birthday with a person whose company you enjoy. pretty, excellent imagination of creativity! I agree. When the weather is good again, I look forward to seeing what the children will create. What a lovely imaginative use of a packet of chalk:). Thank you for sharing, Colline. I have found that children can be quite creative if given the opportunity. And I am sure this piece of creativity gave plenty of pleasure to many people before it was washed away. Lovely shot, Colline. I love their creative expression! Thank you Patti. I could not resist taking a snapshot as it looked so cheery.